President Muhammadu Buhari and Vice President Yemi Osinbajo have declared their assets in line with provisions of the Constitution of the Federal Republic of Nigeria. This was contained in a statement issued on Saturday by Buhari's Head of Media Team, Garba Shehu. "President Buhari's Declarant ID was given as: 'President: 000001/2015′. 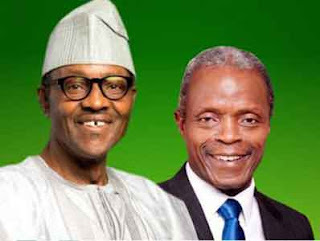 By declaring their assets, the statement said that President Buhari and Vice President Osinbajo may have not only fulfilled the requirements of the Nigerian Constitution, but also fulfilled the first of their many campaign promises. It noted that while seeking election into the highest office in the land, the President had promised Nigerians that he would publicly declare his assets as soon as he took over government.